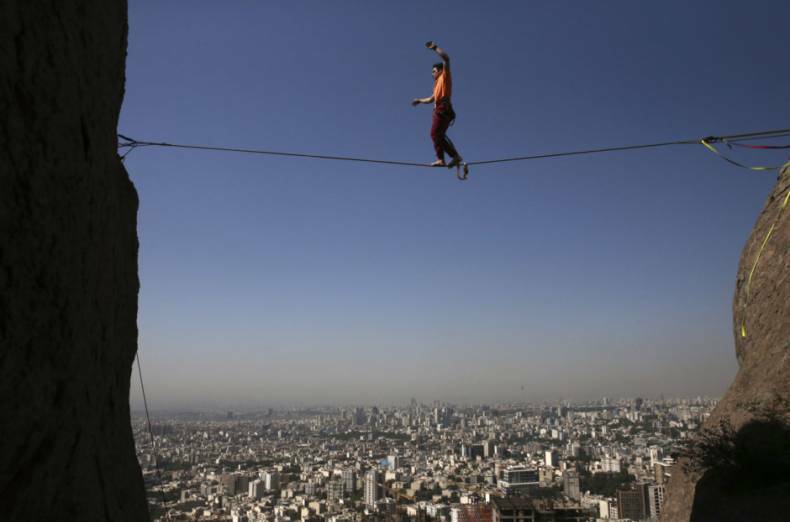 Iranian Hamed Heidari walks across a slackline anchored between two rocks during practice in the mountains overlooking Tehran, Iran. Slackliner Masoud Chenaghloo , nicknamed Don Dorigo, balances on a slackline anchored between two rocks for a practice in the mountains overlooking Tehran. ‘When I’m on the webbing, I feel I have been separated from society, my self-confidence is very high when I’m there,’ says Masoud. 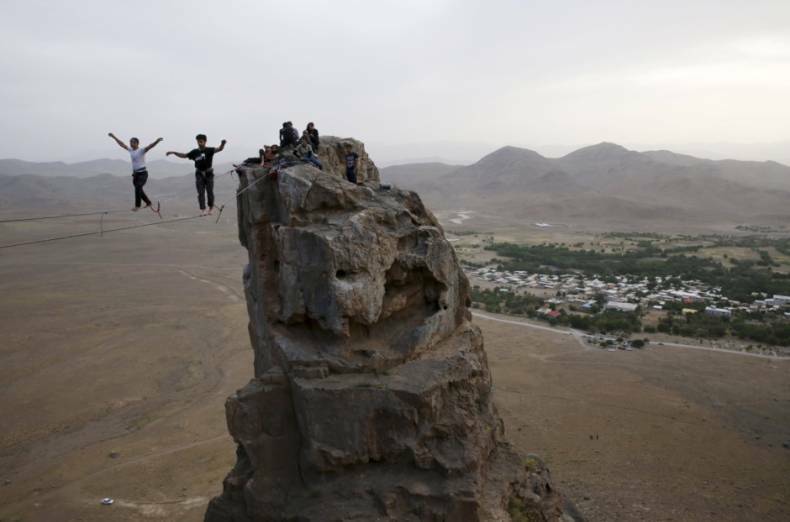 A group of Iranian slackliners hike in the mountains to practice, in northern Tehran, Iran. 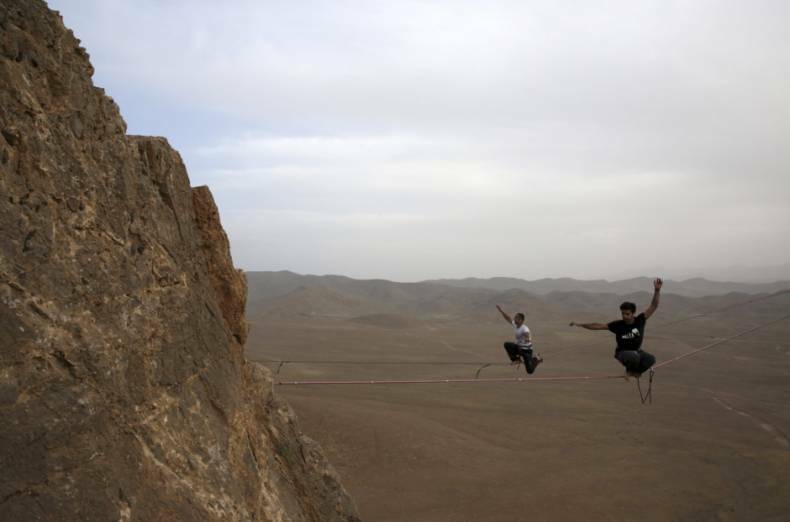 The ‘Iran Slackline’, a group of friends who have had to find their own footing in a country with no formal institutions for the sport. They must make much of their equipment by hand or acquire it abroad – including safety devices. 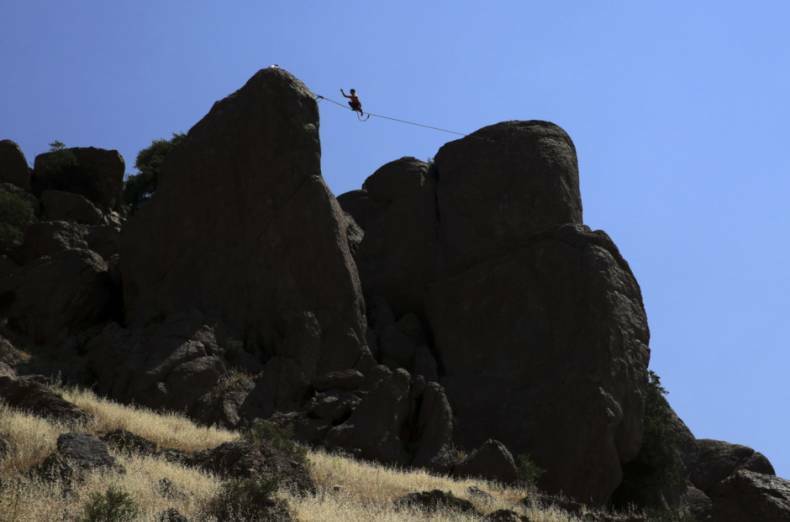 Kiavash Sharifi, left, and Mohammad Reza Abaee walk on a slackline anchored between two rocks in the mountains near the city of Arak. 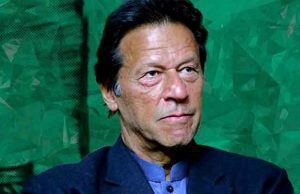 ‘It is very exciting. 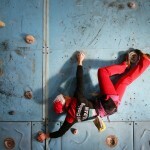 I’m short on words when I want to describe how it feels when you are on the webbing, and how it feels when you manage to walk the whole line and reach the other end,’ Sharifi says. 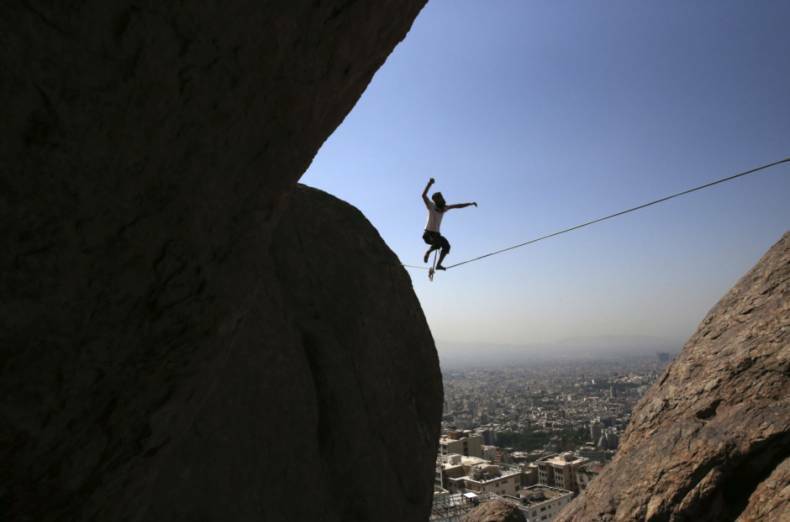 Hamed Heidari walks across a slackline anchored between two rocks during practice in the mountains overlooking Tehran, Iran. 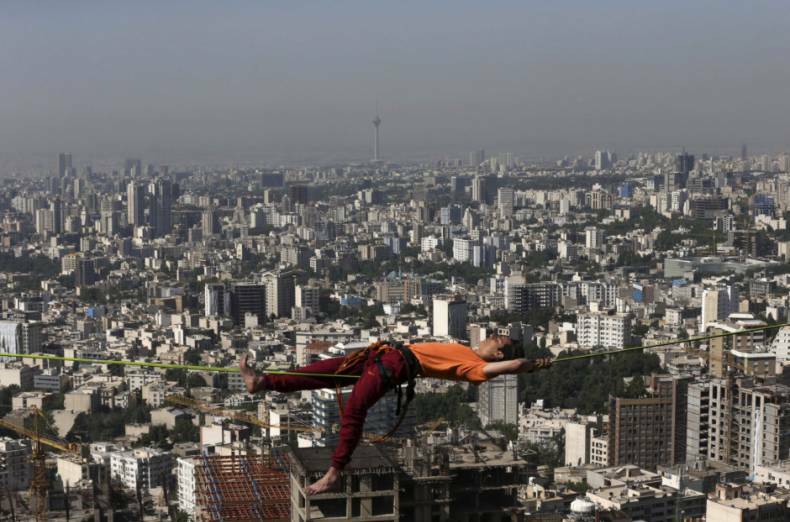 Hamed Heidari lies across a slackline anchored between two rocks during practice in the mountains overlooking Tehran, Iran. 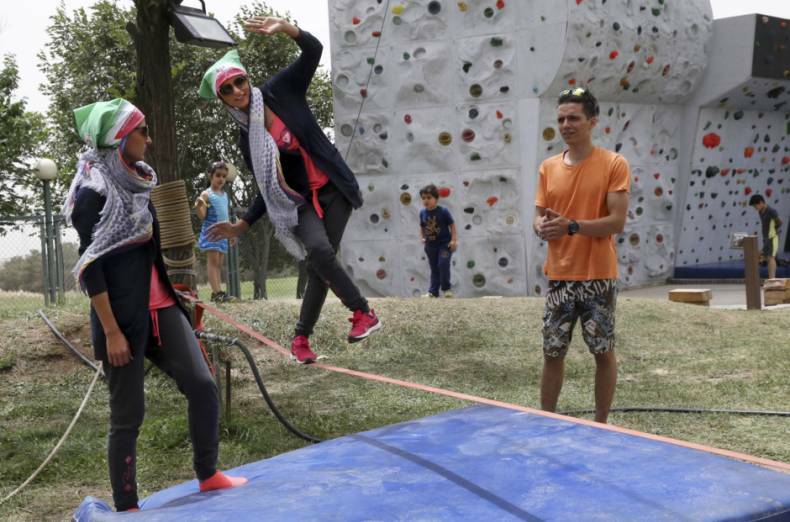 Female Iranian slackliner Samaneh Hasanzadeh balances on a slackline while she is watched by her sister, left, and instructor Hamed Heidari in a sports club in Tehran, Iran. 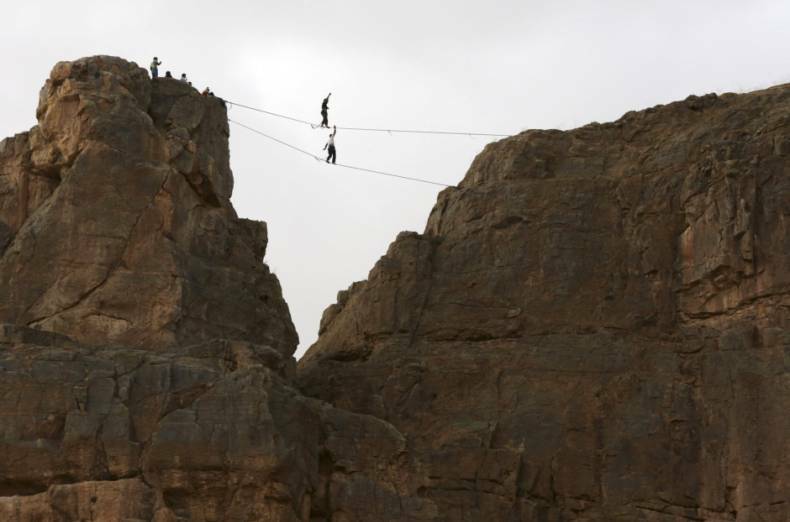 Kiavash Sharifi, bottom, and Mohammad Reza Abaee walk on a slackline anchored between two rocks for a practice as their friends follow on the mountains near the city of Arak. ‘When I’m walking on the highline I have a very good feeling. I feel free. 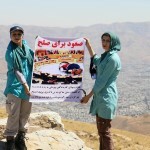 I’m free from all preoccupations and it is very enjoyable,’ says Mohammad Reza Abaee. 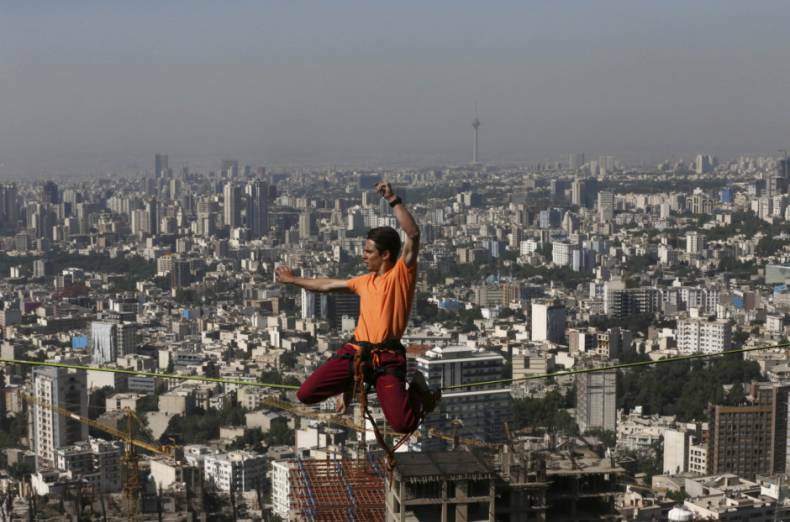 Hamed Heidari balances on a slackline anchored between two rocks during practice in the mountains overlooking Tehran, Iran. 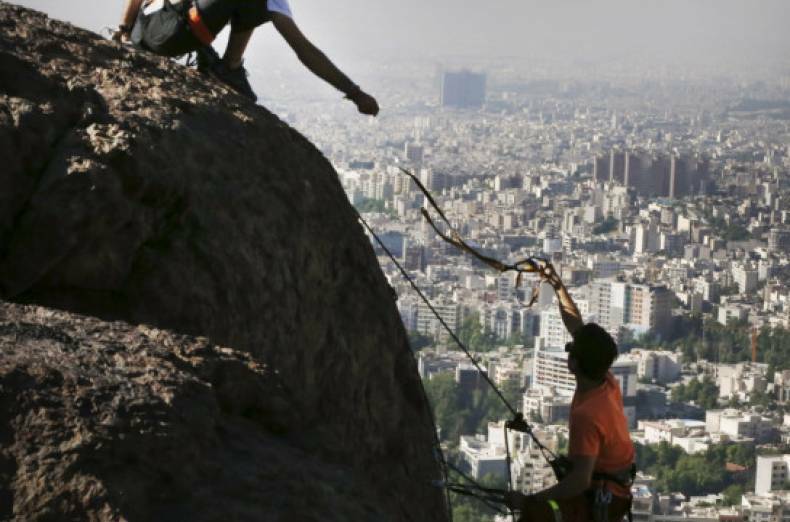 Iranian highliners Hamed Heidari, bottom, and Masoud Chenaghloo , nicknamed Don Dorigo, prepare their ropes to be anchored between two rocks for a slackline practice in the mountains overlooking Tehran, Iran. 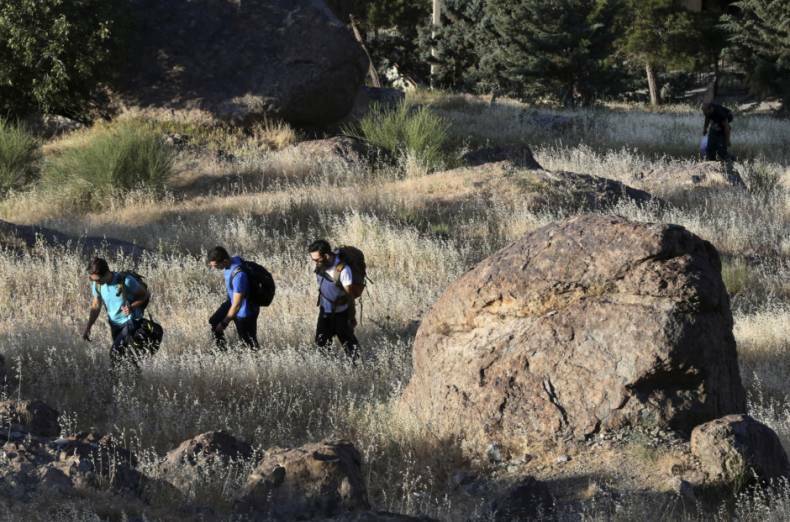 Iranian slackliners Kiavash Sharifi, left, and Mohammad Reza Abaee walk on a slackline anchored between two rocks for a practice as their friends follow on the mountains near the city of Arak, some 204 miles southwest of the capital Tehran, Iran.